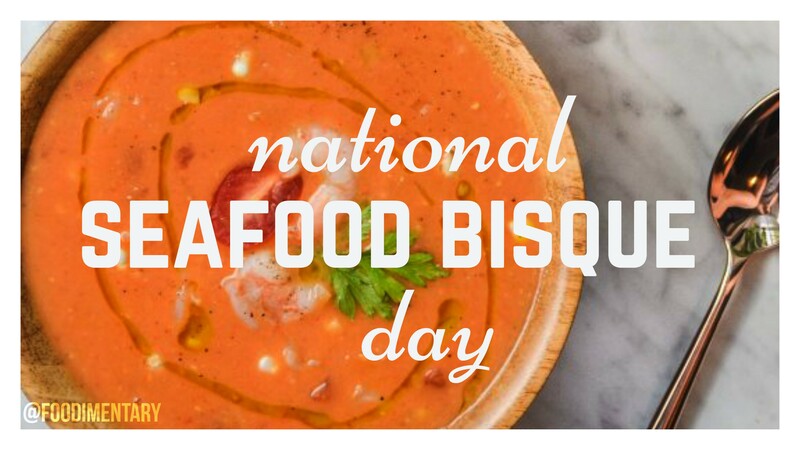 October 19th is National Seafood Bisque Day! Bisque is a smooth, creamy, highly seasoned soup of French origin, classically based on a strained broth of crustaceans. It can be made from lobster, crab, shrimp or crayfish. It is thought the name is derived from Biscay, as in Bay of Biscay, but the crustaceans are certainly bis cuites“twice cooked” (by analogy to abiscuit) for they are first sautéed lightly in their shells, then simmered in wine and aromatic ingredients, before being strained, followed by the addition of cream. Bisque is a method of extracting every bit of flavor from imperfect crustaceans not good enough to send to market. In an authentic bisque, the shells are ground to a fine paste and added to thicken the soup. Bisque is also sometimes used to refer to cream-based soups that do not contain seafood, in which the sometimes pre-cooked ingredients are pureed or processed in a food processor or a food mill. 1688 William Cheselden was born. An English surgeon and teacher, he was one of the first to describe the role of saliva in digestion. 1917 In France, Salvation Army volunteer Helen Purviance made the first doughnuts for homesick U.S. soldiers. The doughnuts became a symbol of the spirit of the Salvation Army’s work to ease the hardship of WW I soldiers on the frontline. 1937 ‘Woman’s Day’ magazine began publishing. 1962 Boxer Evander Holyfield was born. On June 28, 1997, Mike Tyson bit off a chunk of Evander Holyfield’s ear in the 3rd round of a boxing match. Tyson was disqualified.